Looking for Tulsa Remote Support? You've come to the right place. We're here to help small to medium sized-businesses and home users that don’t have access to on-site IT support. We're able to remotely access your PC and troubleshoot your problems while you kick back and enjoy your coffee. Remote support saves time and money over taking your computer to a shop because we can access it instantly. If you're having issues with your network or internet connection, we might not be able to remote in, but many times we can resolve this over the phone. If it's a more complicated matter, we would be happy to come on-site and resolve it. Give us a call at 918-544-2500 or check out our On-Site Support Service. Is your current IT staff already slammed with other projects and unable to resolve your business issues fast enough? Our remote support service is great if you only need help a few times a month. If your IT department is drowning in tickets--let us help! We offer Managed Service Contracts that provide unlimited email, phone, and remote support with on-site support hours each month to keep your IT department happy and your employees productive. We can give you a code over the phone or via e-mail for LogMeIn and have instant access to help you resolve the issue over a highly secure, encrypted connection. 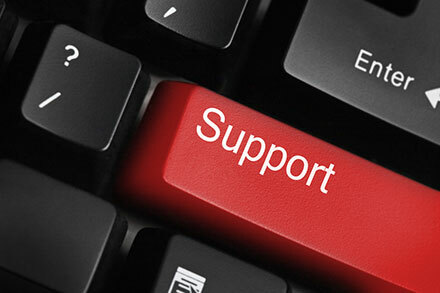 We're available 24x7 to provide uninterrupted technical support. If you have a quick question or small problem, often times we can walk you through your problem over the phone without having to do a remote session. Let us be your Tulsa Remote Support specialists!